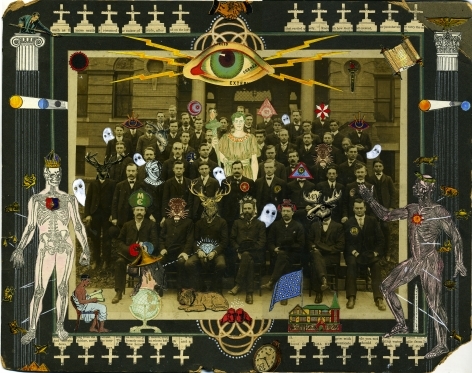 JONATHAN FERRARA GALLERY is proud to announce O Bury Me Not, new mixed media collage with hand drawing by MICHAEL PAJON. The exhibition is a follow up to his successful and acclaimed solo installation at VOLTA NY fair in March during Armory week. 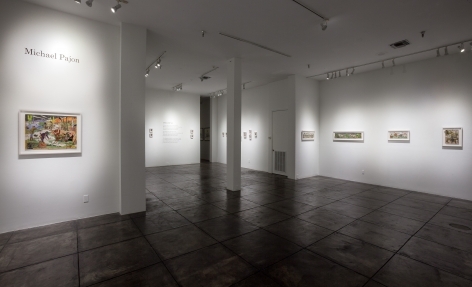 Pajon’s latest works will be unveiled on April 23 in conjunction with the New Orleans Jazz and Heritage Festival and will remain on view through May 28. There will be an artist’s reception Saturday, May 4, from 6-9 pm. 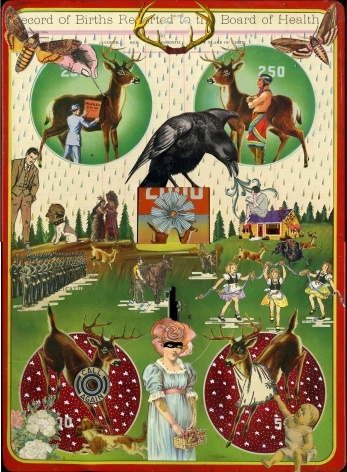 This latest series, O Bury Me Not, titled after a Depression-era cowboy ballad, will showcase Pajon's whimsical and narrative collage, meticulously created from hand-cut materials including antique scrapbooks, book covers, matchbooks, handwritten letters and ledgers, lithographs, maps, siding samples and old photographs. 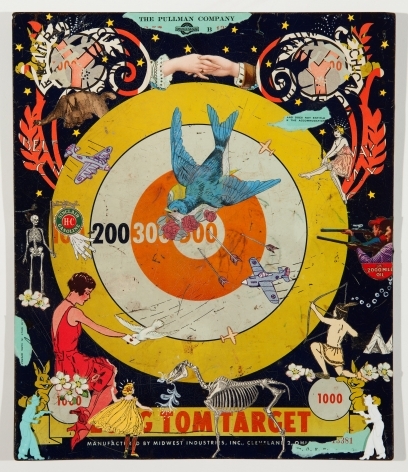 All of his materials come from the golden age of printed matter from the late 1860’s to the 1940’s, to which the artist adds his own hand-drawing in order to connect a new narrative from the elements of nostalgia. Death is a prevalent theme in this body of work, it is something that has shaped my life significantly, and the lives of those portrayed eternally. Amongst them are dentists, salesmen, hucksters, hunters, school children, snake oil salesmen, and preachers -- the ‘lesser’ folk of our collective American history. They, like the dying cowboy, should be allowed the luxury of myth. For it is in this myth-making that truths can be found, and it is in death that we return to the earth, the final truest act we will make. These collages are the headstones of the forgotten and the discarded, reliquaries, suspending that notion of death and the unknown, replacing it with myth and story, scrolling narratives of American fable and folly, painted in torn ticket stubs and moth eaten medical manuals.